Top Dawg is proud to say that many of these base methods used at camp have previously only been available and taught at the NBA level. Top Dawg Basketball announced it will host an All-Star Basketball Camp this summer for high school students July 8-12 at UC Santa Barbara. Participants will have the opportunity to play against some of the best high school talent in the country while developing skills and techniques to succeed at the collegiate level and beyond. Top Dawg’s mission is to connect all-star athletes with colleges that are looking for basketball players with top-notch talent and motivation. The uniqueness and overall authenticity of Top Dawg Basketball lies in the concept of implementing basketball curators who relentlessly pursue innovation in all aspects of basketball. In order to maximize each athlete’s full potential, they will receive training techniques, on-court drills, mechanics, nutrition counseling, agility drills, and stretching and basketball-specific weight training. Students also get the opportunity to widen their exposure to the collegiate basketball world. 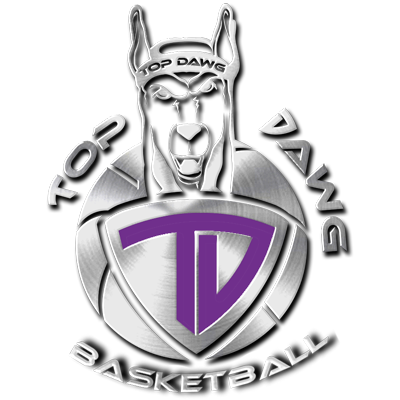 Top Dawg recruitment tools gather all of the campers' vital information such as combine numbers, game stats, highlight video, school stats, AAU stats and grades. This information will be searchable by position, height, weight, stats and grades, which can be utilized by colleges around the world. Top Dawg’s overall goal is not only to give athletes the tools that pros use, but also to connect the athletes with colleges in an affordable manner. If you’re an elite level high school basketball player and have not already been invited to Top Dawg All Star Basketball Camp and feel you deserve an opportunity to play and learn from the best, please go to http://www.topdawgbasketball.com/invite-me/ and provide details to be considered for an invite. Tim McFerran, Top Dawg's CEO, has worked both with and for some of the most groundbreaking basketball minds in the NBA, including Jack Ramsay (former Portland Trailblazer world champion coach), Chuck Daly (former world championship coach for the Detroit Pistons and Olympic gold medalist coach), Geoff Petrie (former two-time NBA executive of the year) and Rick Adelman (former NBA legendary coach). Additionally, McFerran has worked with NBA players such as Chris Webber, Charles Barkley and Danny Manning. He has also been involved with NBA teams including the Phoenix Suns, Portland Trailblazers and Sacramento Kings. A majority of McFerran's success comes from operating the largest day and overnight camps in the country, as well as the oldest continuous basketball camp in the world. All of these previous experiences inspired and motivated McFerran to create Top Dawg All-Star Basketball Camp. Top Dawg was created for athletes with the desire and drive to improve. 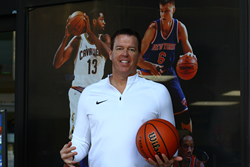 Tim McFerran, CEO of Top Dawg, has worked closely with, or under the tutelage of, many game changers from the NBA. This includes legendary coaches Jack Ramsay and Chuck Daly, legendary NBA greats Chris Webber and Charles Barkley and several NBA teams. At Top Dawg, our core belief is that “The world is full of athletes with potential who never realize it. Our goal is to make sure that they do.” For more information visit topdawgbasketball.com, call (310) 207-5019 or follow us on Facebook, Instagram, and Twitter.